If you’re going to spend a lot of time on your keyboard, it might as well be a comfortable one. Verbatim has the perfect keyboard for you! Are you still using the mouse and keyboard that came with your computer? Or maybe you’ve tried something new, but you’ve got some nagging RSI strain, cords tangled everywhere, or a lagging mouse that’s left you unjustly fragged into oblivion? If your mouse and keyboard aren’t working for you, it’s time to buy new ones. Looking for an affordable keyboard that still provides a better typing experience? 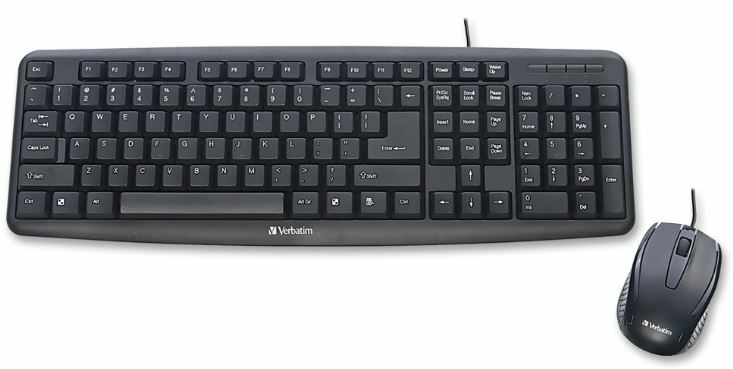 Try Verbatim’s Slimline Corded USB Keyboard – it’s sleek, yet sturdy, with convenient plug and play USB connectivity. The Slimline Corded Keyboard features low-profile keys and adjustable tilt legs for quiet, comfortable typing. The layout features a full numeric keypad and full-size function keys, all within a slim, efficient design that frees up space on your desktop. Compatible with both Windows and Mac operating systems, the Slimline Corded USB Keyboard is a great addition to any corporate or home office workspace. Say goodbye to noise and hello to silence with the Verbatim Silent Mouse and Keyboard. Using new Silent Technology, silent click switches, and rubber covers, these Verbatim products are truly silent. The nano receiver is small enough to plug in and leave connected and the 2.4GHz wireless performance allows for a lag-free connection. The Silent Mouse features Blue LED technology, allowing users to point and click on more surfaces than other mice – from a glass table to the granite kitchen counter! The Silent Keyboard features a full numeric keypad and full-size function keys, all within a slim, efficient design. 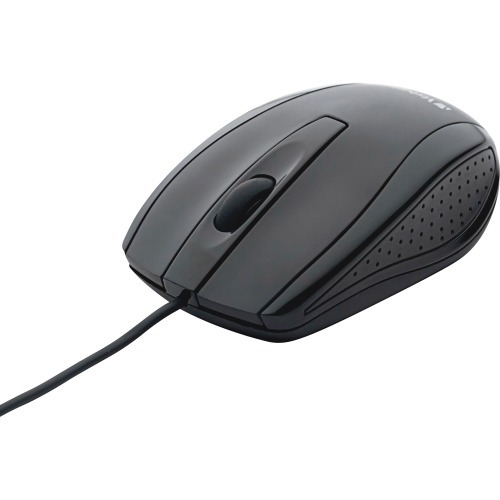 The Verbatim Silent Mouse and Keyboard are backed by a 1-Year Limited Warranty.